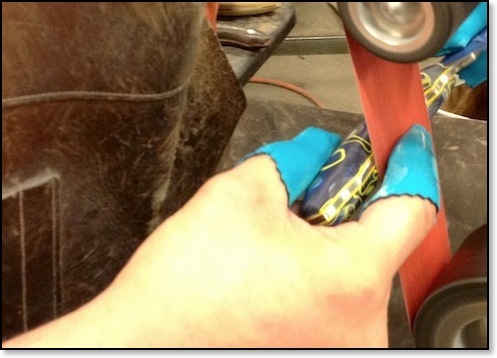 Rhino Knives is now offering Rhino Finger Skins, the perfect product to guard the fingers of craftpersons and artisans whose work puts their fingers in danger of abrasions, cuts, and burns. 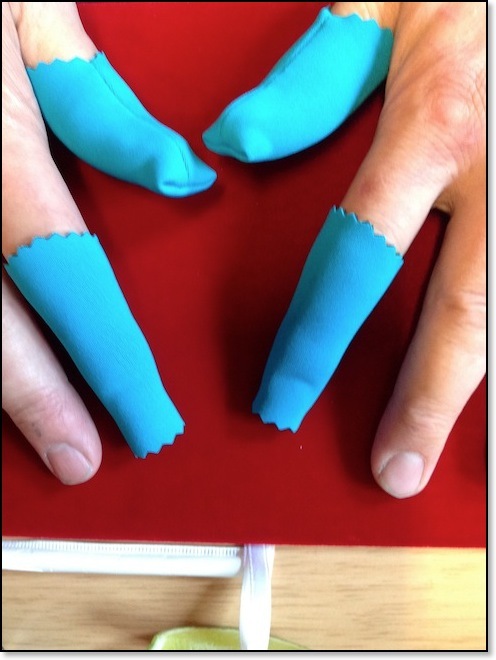 "I recently began using these ingenuously designed finger guards," says Laurence Segal. "They are great. They are not cumbersome or hot to wear, as full gloves can be, but they do a good job of protecting those parts of your fingers that are most likely to be injured." 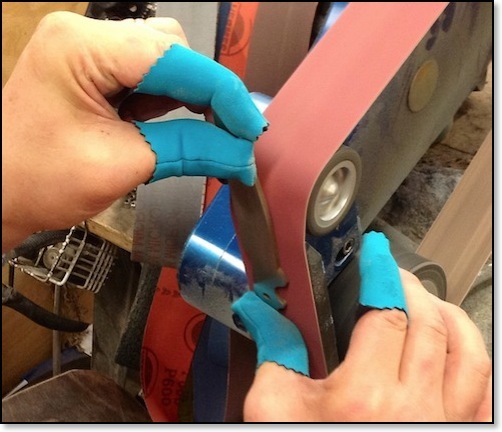 Rhino Finger Skins work especially well for platen work with belts of 120 grits and finer. They give heat protection up to approximately 200 degress and still allow sensation for finishing work. Rhino Finishing Skins can take up to 400 degrees without burning. Rhino Finger Skins work well for handle sculpting by pressing on the back of the belt to get a smooth radius on your handle. I have this 600 grit belt running at 30% of power. Always be careful while doing this and any other knife making work. These Rhino Finger Skins are Made in the USA. Each set contains two fingers and two thumbs. Below is how I typically wear my Rhino Finger Skins, but you can cover any and all digits that you wish. 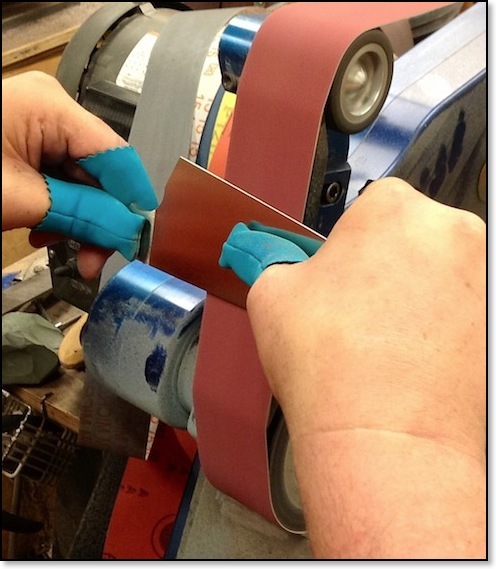 Rhino Finger Skins provide just the right amount of heat protection while allowing you to feel the steel knife blank on the flat platen. That almost permanently sore burned spot in the center of both of my thumbs his healing up fast.